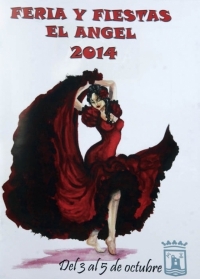 If you're looking for a bit of fun and Spanish culture then don't miss the La Colonia El Angel Feria in San Pedro from October 2 until October 5, 2014. Throughout the four days enjoy music and dancing with live music as well as competitions such as dominoes, olive throwing or watch the crowning of the Mr. and Mrs. Angel. 20:00 - Mass officiated by the parish priest of the Church Santo Ángel Custodio, Eduardo Resa Huerta, accompanied by the choir Virgin Mother of Nueva Andalucía, which will give way to the Santo Ángel Custodio procession through the streets of the colony. 22:00 - official opening and lighting of the lighting of the fairgrounds. Then fireworks will be launched and it will proceed to the reading of the proclamation, which will be borne by local singer Juan Delola. Then held the coronation ceremony and laying on of bands Queens and ladies, children and youth, as well as 'Baby Ángel', held a big party in the municipal House enlivened by the Duo Arenal group and they will choose to 'Lady Ángel' and 'Mr. Ángel'. 11:30 - games for children and will open the fair. 14:00 - paella will be offered to the attendees.